Welcome to All Time Moving's original location. All Time Moving was started in 2005. 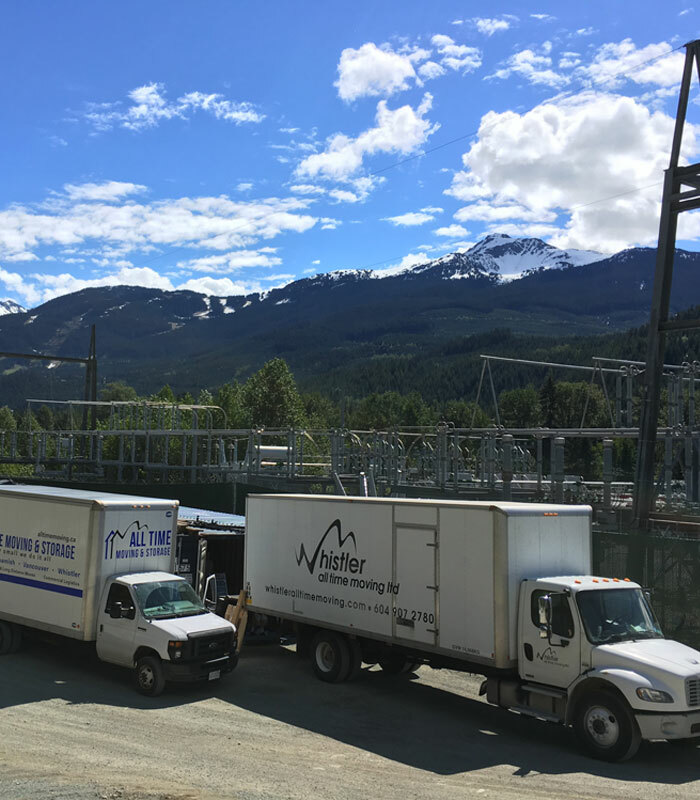 When it comes to moving in Whistler, we have the experience and expertise to get the job done. Packing and unpacking is stressful, why not leave it to us? Our specially trained packers can provide cost-effective complete or partial packing services while you relax. We'll pack your belongings quickly and carefully ensuring that even the most delicate items arrive at their destination intact. Our packing services are available from single boxes through to your entire house or business. We charge for each man that is needed as well as the materials used. Packing is one of the most important services you can consider when you relocate. At All Time Moving, extra detail and care is taken when packing your possessions. Our packers are professional and efficient, we usually complete standard packing jobs in a day or less. The advantage of us packing is, you'll have more time to deal with the other details of your relocation and the chance for damage to your precious possessions is reduced. Furthermore we'll take responsibility for the clean up afterwards.